My name is Sai Noom. I am 23 years old and from Taunggyi, Southern Shan State of Burma. I have four family members—me, my father, mother, and one elder brother. My father and mother divorced when I was young, and because of it my elder brother and I also kept separate (one of us always had to be either with our mother or father so that they didn’t feel lonely). I finished grade ten but I couldn’t continue my studies due to financial and family problems. After my father and my mother divorced, they couldn’t afford to take full responsibility of us so my mother went to Bangkok and my father to Chiang Mai to make money, leaving us with a high school teacher. When they could, they sent back money, but sometimes they couldn’t. Eventually my brother and I could not even find a place to live, and so my father pawned off our house to pay for his traveling costs and our living expenses. We moved place to place living with relatives during this time, but we could not stay very long. I could not find a job as all the jobs were for farming and I was 15 years old. I came to Bangkok, Thailand in 2008 with hopes to continue my studies and earn money. But I could not find any opportunities because I could not speak or write Thai, and I had problems with my documents. At that time, migrants were strictly ruled and their chances to go to school were limited. But then fortunately, one of my friends told me that there was a school opened specially for migrants in Chiang Mai where I could learn Thai, English, and computers. As soon as I heard about it, I decided to move to Chiang Mai and stay with my friend. I joined the Thai class there and in a few months could write and read Thai and found a job at a Japanese restaurant working as a chef’s assistance. I continued studying English and computers for another two years. In 2010, I joined BEAM. BEAM opened for two sessions a day—morning and evening—so that students who worked at night could attend in the morning, and students who worked during the day could attend in the evening. I personally believe that training the next generation, or every person who may not have an education but has the desire to learn, is very important. I attended in the evening as I worked at the restaurant during the day. BEAM prepared us to take the GED within two years, and in 2013 I was allowed to take the GED exam in Bangkok. Just after I took the exam, the Thai universities opened for new students. 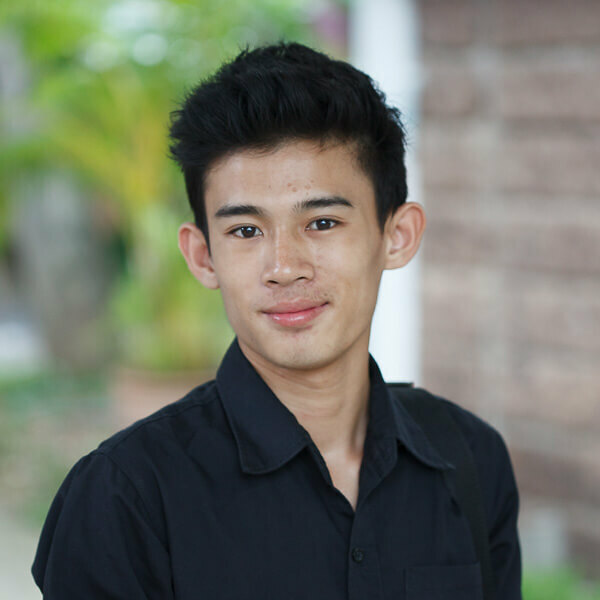 BEAM offered me a scholarship to help make my dream to study come true, and in 2013 Chiang Mai University selected me to become a student in its social sciences program. Social sciences give me diverse and fascinating knowledge, concepts, and insights into the everyday lives of different communities. If I finish university I would love to be a person who can help improve my community by handing knowledge over to people who play a role in the future social, economic, and political decisions of their communities. A teacher at school once said that in order to transform or build a new and better society, it is very important to focus on the coming generations. Nowadays, many governments and organizations give significance to new generations—they help train them on making social, economic, and political decisions for people’s daily lives. I personally believe that training the next generation, or every person who may not have an education but has the desire to learn, is very important. Currently in my village, they are organizing and planning to step into a new political and ruling system—a real democratic community whose ideas are taken from the Thai. I think social scientists and anthropologists are becoming necessary to conduct research. They are even involved in the creation of new fields in the community. I would like to research the various possible problems that people in a community might face in order to find new and appropriate ways to govern that include economic, social, and environmental decisions. I will use those skills and knowledge to help develop my community when I graduate. 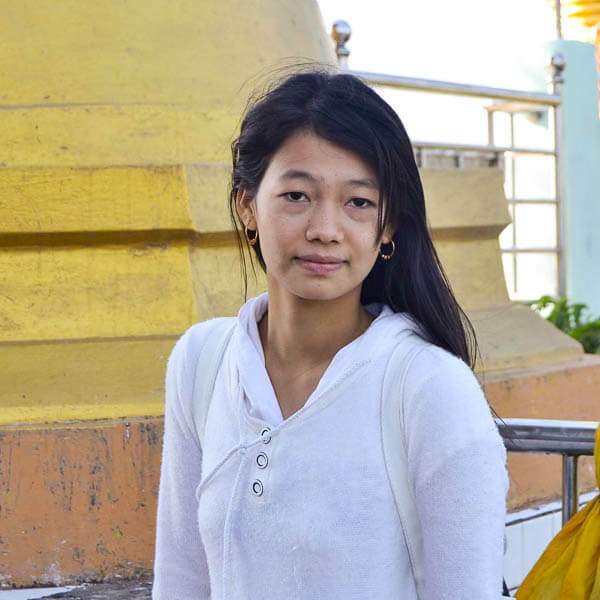 Written by Sai Noom with editing assistance from Zomia’s volunteer editors. I would love to be a person who can help improve my community by handing knowledge over to people who play a role in the future social, economic, and political decisions of their communities.